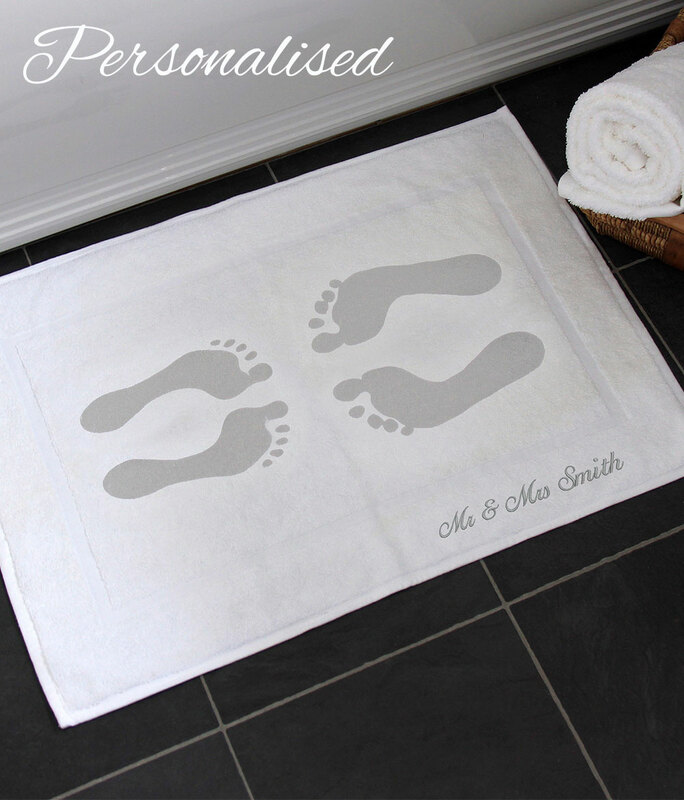 This personalised bath mat would make a wonderful 2nd cotton anniversary gift or wedding gift. 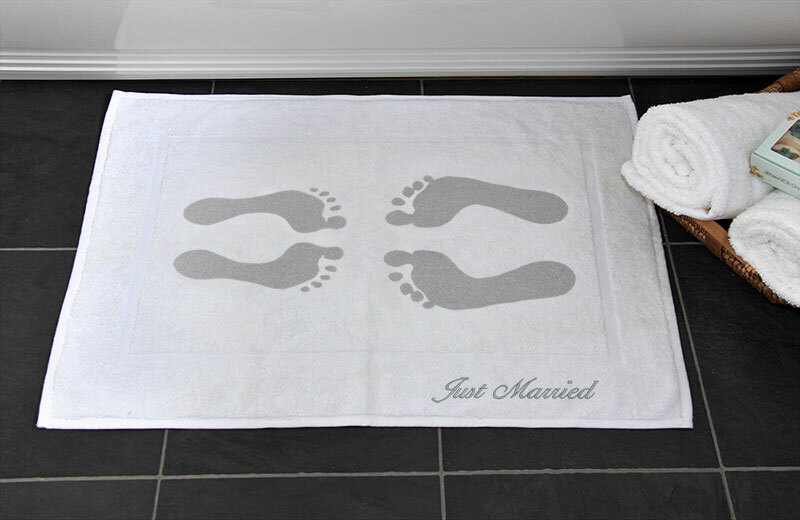 The design is screen printed directly into the towelling fabric, creating a 'footprints in the sand' effect; evoking memories of honeymoon or holiday's past. 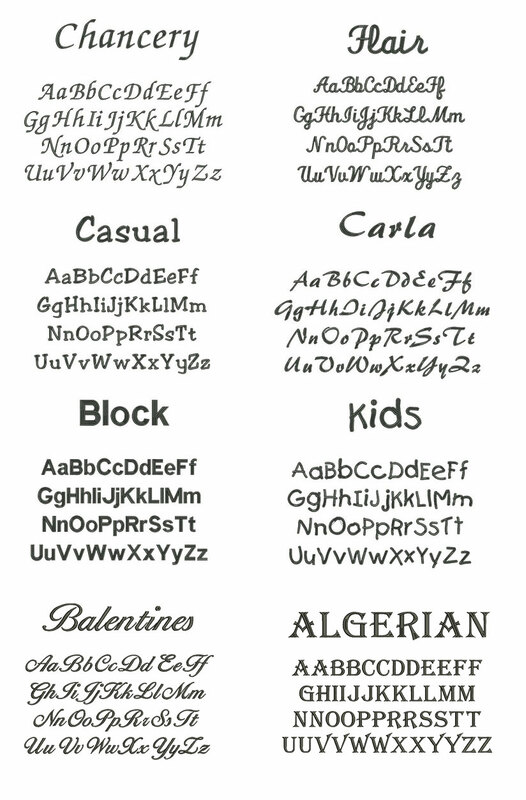 You can also add an embroidered message for an extra touch. - Text will be embroidered on the bottom right hand side of the mat. - Size: 50 cm x 70 cm. 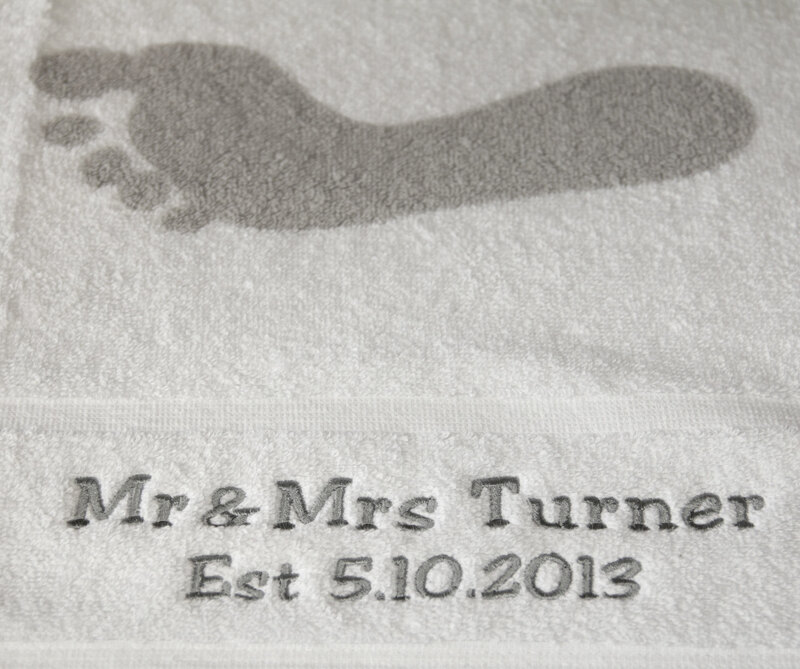 - White bath mat with light grey footprint. 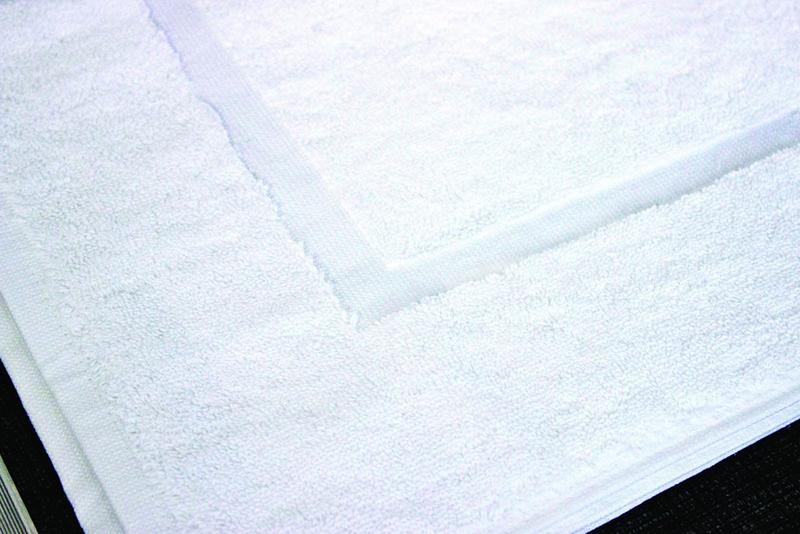 - The double twisted yarn pile also ensures a greater level of strength and absorbency. - Woven with a single picture frame border, creating a stylish design that is easily distinguishable from hand towels. 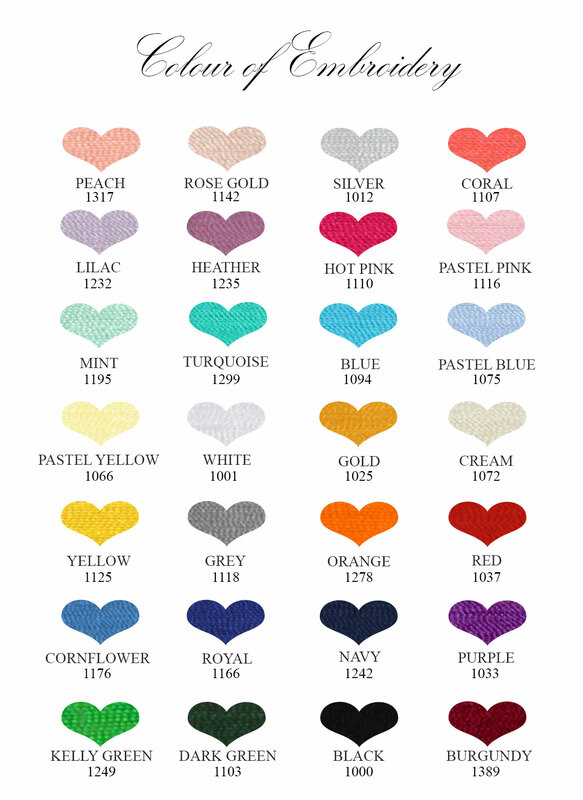 We can only embroider 2 lines of text on a bath mat such as names and a date.